One of the most important artists of the twentieth century and an icon of courageous womanhood, Frida Kahlo lives on in the public imagination, where her popularity shows no signs of waning. She is renowned for both her paintings and her personal story, which were equally filled with pain and anguish, celebration and life. Thousands of words, including her own, have been written about Kahlo, but only one previous biography has recorded her fascinating, difficult life. Frida Kahlo by Mar a Hesse offers a highly unique way of getting to know the artist by presenting her life in graphic novel form, with striking illustrations that reimagine many of Kahlo's famous paintings. Originally published in Spanish in 2016, Frida Kahlo has already found an enthusiastic audience in the Spanish-speaking world, with some 20,000 copies sold in just a few months. 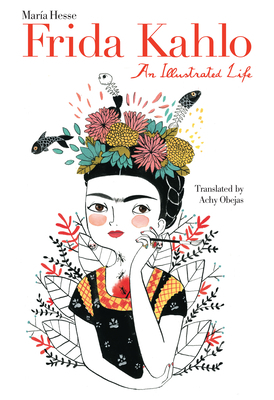 This translation introduces English-language readers to Kahlo's life, from her childhood and the traumatic accident that would change her life and her artwork, to her complicated love for Diego Rivera and the fierce determination that drove her to become a major artist in her own right. Mar a Hesse tells the story in a first-person narrative, which captures both the depths of Frida's suffering and her passion for art and life.